Gladwin County offers recreational and economic opportunites in a friendly rural setting. Our many lakes, rivers, forests and recreational facilities provide an abundance of opportunities for both business and family. For more Gladwin County MI. Information, please visit Gladwin County, Michigan. 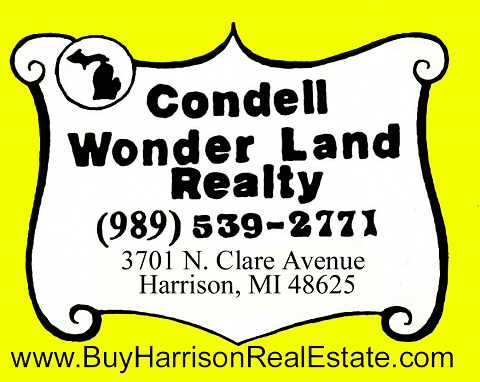 Condell Wonder Land Realty has a great selection of all types of Northern Michigan Real Estate and has been listing and selling Gladwin County MI. Real Estate for many years, so if you are looking to buy or sell property in Gladwin County MI. please contact us!